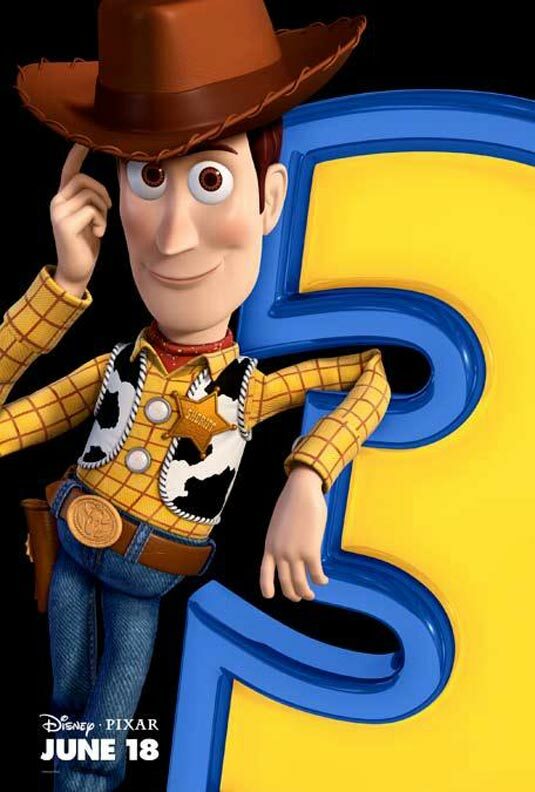 As was expected Toy Story 3, Pixar studio’s final installment in its only trilogy, towered over the box office boasting the highest June opening of all time and the highest opening for the beloved production company. Launching in an ultra-wide 4,028 theaters for a sizable $27,385 average, Woody, Buzz and company escaped with $110.3 million with $20 million of the gross coming from 3-D screens. The mammoth launch was the second largest for an animated film (behind only Shrek the Third) and handily beat the $70.5 million debut of The Incredibles, the former Pixar record holder. Overseas brought the early tally to $155.1 million and if this threequel behaves anything like most animated films, the record $441.1 million domestic gross of Shrek 2 could be up for grabs. Unlike similar films, Toy Story 3 saw a dip in its Friday to Saturday receipts indicating some front loading. But with rave reviews and hugely positive word of mouth don’t count it down just yet. After its surprisingly profitable launch last week, The Karate Kid understandable slid to second with $29.9 million for a 46 percent decline. With direct competition from the toys down the way, the hold is commendable and with $107.1 million in the bank, the double century club is not out of the question. Positive word of mouth seemed to play at least some role in the respectable 44 percent drop for The A-Team, which came together with $14.5 million after its lower-than-expected debut. The domestic total stands at $50.4 million in two weeks and could climb to the area of $80+ million. Get Him to the Greek posted another small decline of 39 percent, collecting $6.1 million in its third round. The spin-off has amassed $47.8 million and is still on target to settle near its predecessor Forgetting Sarah Marshall at $60 million domestic. After weeks of small declines, animated rival Shrek Forever After felt the sting of “Toy Story” tumbling 64 percent to $5.6 million for a tally of $223 million. In a bizarre sixth place finished Prince of Persia: The Sands of Time lost almost none of its business after two weeks of steep drops. The video game adaptation stepped down only 14.2 percent and has now collected $80.8 million. Around $90 million is a likely finish for the big-budget pic. Wait a second. Wasn’t there another new release this week? Oh yes, that’s right Jonah Hex, which rustled up a piddling $5.4 million and an average of $1,900. Bad reviews, a poor attempt at counter-programming against Toy Story 3 along with an unknown DC Comics hero all added up to one of the biggest summer flops of all time. Two blockbusters shattered records this week, even if those milestones weren’t exactly in the same ballpark. Iron Man 2 slipped past the $300 million mark and $600 million worldwide this weekend, and Ridley Scott’s Robin Hood crossed the $100 million threshold domestically. Outside of the top ten, Mumblecore film Cyrus starring Jonah Hill, John C. Reilly and Marisa Tomei was rewarded with a take of $181,716 in just four theatres for a red-hot $45,429 average. Thanks to Pixar, the top ten films amassed $187.6 million inflating the box office 34 percent from when The Proposal opened at number one with $33.6 million last year.